Neurogenesis, fueled by senior exercise, improves memory and aging. Neurogenesis reveals the lie that with an aging brain, memory is destined to fade. Good news for aging parents? Physical exercise can turn on the brain's ability to grow, heal and rewire itself. "One of the most exciting areas of exercise research is the investigation of cognitive function. What scientists have learned so far is that brain neurons, the special cells that help you think, move, perform all the bodily functions that keep you alive, and even help your memory, all increase in number after just a few days or weeks of regular activity." This is an amazing discovery. The former belief is that the human brain irreversibly declines with age, losing brain cells in the parts of the brain that control memory and thinking. But through research, scientists have observed that the decline can be reversed. 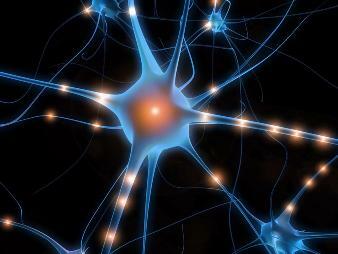 With physical exercise -- new brain cells form. "In other words, the fittest individuals had the most brain tissue." "...researchers found that the fittest individuals had the highest scores on tasks like coordination, scheduling, planning, and memory." But the news gets even better. "And in a recent study of 1,740 adults older than 65, researchers found that the incidence of dementia in individuals who walked three or more times per week was 35% lower than those individuals who walked less than three days per week." Exercise is important, but consistent, frequent exercise is even more important. Work with your parents to find senior exercises or physical activities that they enjoy. Then conspire with them about how to engage in those activities several times a week. For example, my own mother has a regular walking schedule. Instead of having the daily newspaper delivered, she walks to a local store to buy it. Brain Foods: Help Your Parents Memory and Aging. Here's What They Need for Better Brain Fitness. Brain foods are key. What you eat affects aging and the brain. Your aging parents' brains can get added protection from Alzheimer's Disease and other mental decline. Learn how to improve Brain Fitness by the changing what they eat. 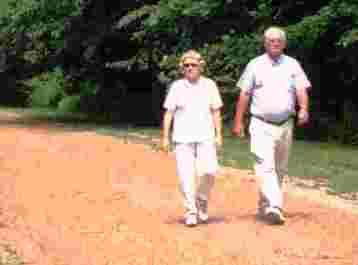 Senior exercise is more than a good idea for your aging parents. Researchers continue to discover contributions even beyond general strength and health. Here you will find exercises especially designed for senior citizens: Warm up Exercises, Balance, Upper Body, Lower body, and Aerobic.